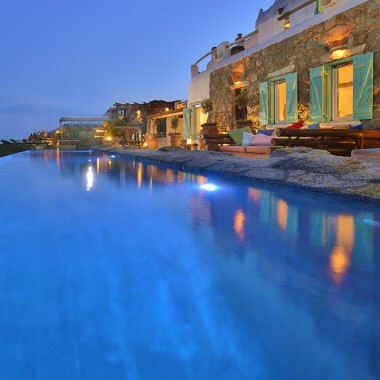 This luxury villa to rent on Mykonos is located on a slope overlooking the bay of Agios Stefanos. 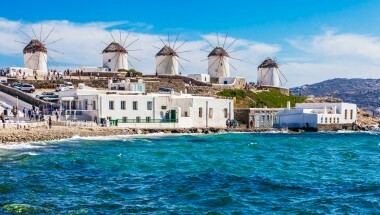 The location offers both the advantage of tranquillity, yet it is just 10 minutes drive away from the lively town of Mykonos. The house is in a complex of two family-friendly villas so could be rented together for larger groups of up to 12 people. The inviting outdoor areas benefit from the wonderful sea views. A beautiful pergola covered veranda, furnished for dining outdoors, overlooks the swimming pool, and the sea. There is also a traditional Greek wood oven. Indoors, the living areas are light and spacious, while the bedrooms are intimate and cosy. Amenities at the villa include satellite TV, CD player, Wi-Fi internet, a safe and air conditioning in two of the bedrooms. Daily maid service included. Linen change twice a week. Daily change of bath towels. 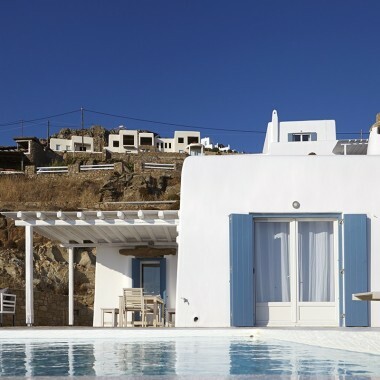 This luxury villa sits on a slope overlooking the beautiful bay of Agios Stefanos. 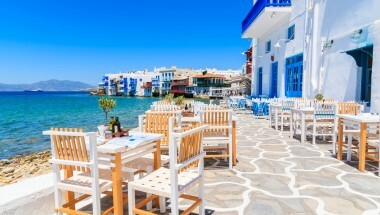 It is a quiet location, just 5 minutes drive away from Agios Stefanos, and 10 minutes from the lively town of Mykonos. The house is in a complex of two family-friendly villas so could be rented together for larger groups of up to 12 people.